(WASHINGTON, DC) – (RealEstateRama) — Several District Government agencies have closed a financing deal that will preserve 220 affordable housing units in the long vacant Parkway Overlook Apartments in the Ward 8 neighborhood of Congress Heights. The project—which will consist mostly of family-sized units—will also provide workforce development training to residents and energy savings through the installation of solar panels. This effort in affordable housing preservation was made possible through the collaboration of four District government agencies: the DC Housing Authority (DCHA), the DC Department of Housing and Community Development (DHCD), the DC Housing Finance Agency (DCHFA) and the DC Department of the Environment (DOEE). “This deal is another innovative way that DCHA works with its local partners to support its mission of maintaining and creating new affordable housing options to the people of the District. The $82.2 million rehabilitation of the complex, located at 2841 Robinson Place SE, near the Congress Heights Metro station and St. Elizabeth’s East Campus, will be comprised of units affordable to households making up to 50 percent of the area median income (AMI) or about $55,150 for a family of four. Eleven units will be available for households at or below $33,090 (30 percent of AMI) and will be set-aside as permanent supportive housing. The units will be comprised of 53 one-bedroom, 108 two-bedroom and 59 three-bedroom apartments and therefore will accommodate a variety of family sizes. All two- and threebedroom units will include a second bathroom, according to plans. The project also includes 13 handicapped accessible units. Training and classes in workforce development, financial literacy and after-school activities will be offered at the community based on community needs. DHCD provided $20.1 million in financing through the Housing Production Trust Fund (HPTF). 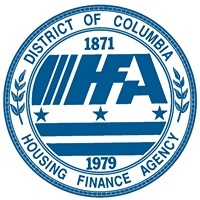 DCHFA issued over $38 million in bond financing for the project, as well as an estimated $29.6 million in equity raised through an offering of 4 percent low income housing tax credits (LIHTCs). Capitol Housing Partners LLC, a subsidiary entity controlled by DCHA, will use funding from DHCD and DCHFA to acquire and rehabilitate the complex. Wells Fargo is a partner in the transaction providing the construction and permanent debt, as well as a LIHTC and solar tax credit equity investment. Parkway Overlook will be one of the District’s first multifamily properties to include solar and battery storage for resilience. DOEE’s Solar for All program, which aims to provide the benefits of solar power to 100,000 low-income households and reduce their energy bills by 50 percent by 2032, provided technical assistance and grant funding for this project to support the installation of rooftop and ground-mounted solar and battery storage. The solar array will generate enough electricity to support 30 percent of the property’s energy consumption and the battery storage will enable the property to continue functioning in the event of an extended power outage. The cost savings from solar will offset Parkway Overlook’s operating costs, resulting in increased affordability for its residents. The project also aligns with Mayor Bowser’s Climate Ready DC plan goals by reducing carbon emissions, while helping protect residents from the harmful impacts of climate change, including more frequent power outages due to heat waves and severe weather. Since coming into office, the Bowser Administration has sparked the creation or preservation of more than 9,600 affordable units, with another 3,300 units in preconstruction. In Fiscal Year 2017, the District made historic investments in affordable housing, getting more than $138 million in Housing Production Trust Fund financing out the door to support 23 projects that will produce or preserve more than 1,900 affordable units. The District’s multi-pronged approach to housing production and preservation, homeownership, and development of vacant properties is winning national recognition. On September 11, the District was selected for the Urban Land Institute’s Larson Housing Policy Leadership Award. This annual award, provided by ULI’s Terwilliger Center for Housing, recognizes innovative ways the public sector is addressing the nation’s affordable housing crisis.